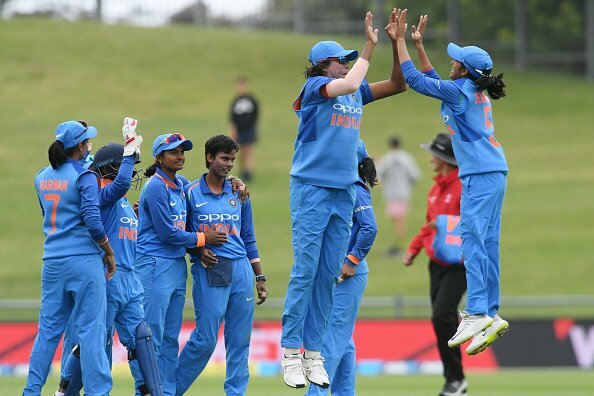 Mount Maunganui: Indian women comprehensively defeated New Zealand by eight wickets with 88 balls remaining in the second ODI here on Tuesday. Chasing the victory target of 162, opener Smriti Mandhana and skipper Mithali Raj remained unbeaten on 90 and 63. India lost two early wickets when Jemimah Rodrigues was dismissed for a duck, and Deepti went for eight. Earlier, Mithali won the toss and opted to bowl first. For India, veteran Jhulan Goswami was the pick of the bowlers with figures of 3/23. Poonam Yadav , Deepti Sharma and Ekta Bisht picked up two wickets each and Shikha Pandey scalped one wicket for 19 runs. On the other hand, New Zealand kept losing wickets at regular intervals and failed to string partnerships. They managed to score 161 runs in 44.2 overs. Skipper Amy Satterthwaite top-scored for her side with 71 runs off 87 balls. With this win, the Indian women team sealed the three-ODI cricket series 2-0. The visiting had thrashed the hosts by nine wickets in the opening match. The third and final ODI, which will be a dead-rubber fixture now, will be played on Friday at the Seddon Park, Hamilton.